Invited application from DC Office Cachar Recruitment for the Goan Bura in 324 Posts against the concerned lot Circle wise indicated below. 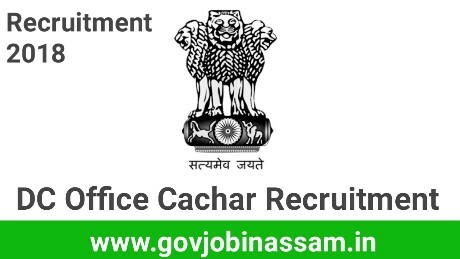 Interested candidate may apply offline for the following DC office Cachar vacancies. Interested candidates may submitted their offline application form during the office hours on or before 20/09/2018 up to 5:00 P.M in the Office Chamber of the concerned Circle Officer. In case of any holiday falls on the closing day the applications will be received on the next day. 2. The applicant should be minimum 35 years of ageand the applicant should be minimum 10th standard pass from a Board/ Institution recognized by the State/Central Govt.